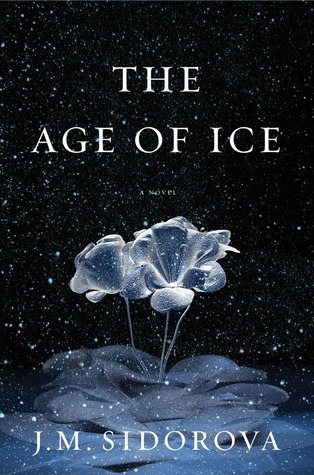 In an ice palace in eighteenth century Russia, two twin princes are born—Prince Alexander and Prince Andrei. Prince Andrei is the more ambitious, bold, and daring of the two brothers, while Alexander is more reserved and shy. The boys grow up in an idealistic life, residing in the families country home with many animals and servants. Andrei is seemingly always unhappy while Alexander seems more well adjusted and happy. As the two boys reach adulthood the both enlist in the military and through an unexpected situation Alexander makes a startling discovery–he is immune to the cold. This revelation brings about many different questions for Alexander. Why is Andrei not cursed with this affliction? Why is it only effecting Alexander? Not only is he immune to the cold, he is able to create ice and create feelings of ice in others. Alexander makes it his life’s ambition to figure out why he is immune to the cold and what makes him so unique. His story spans many many years of history, heartbreak, and unanswered questions. This novel covers two centuries of history and follows Alexander on his quest to discover who and what he is. Sidorova writes with a clear and through knowledge of Russian history. The amount of research done is impressive and commendable! She clearly wants to show highlight Russia’s amazing and extensive history for readers. If you like your books full of action, then this is probably not the novel for you. Sidorova clearly knows Russian history and does a great job outlining and explaining it all for the reader, however at times it felt like the novel was more of a non-fiction historical account of Imperial Russia and the Napoleonic Wars which sometimes brought the story to a grinding halt for me. This has been the year of Russian/Eastern European based literature for me. Since I read so much English based literature it is sometimes nice to take a break and explore a different literary culture and it’s history, but I am not sure that I was prepared to read this much about Russian history. Though the history is presented in an understandable fashion, it overwhelmed me as a reader and I felt like not enough was happening in the story and with the characters. I loved the concept for this novel, it sounded unique and different….not your run of the mill fantasy or sci fi novel, so I expected more of a story with a little history peppered throughout but it was the opposite for me. The book had the right concept and there was plenty of potential but I thought a lot of things could have been eliminated from a historic standpoint. There were also some inconsistencies in the plot that bothered me but over all, it was the lack of dialogue and epic historical accounts that slowed the story. One thing I enjoyed about the novel though was the portrayal of Alexander. I thought Sidorova did a marvelous job with him as the protagonist. Though we struggle to identify and sympathize with him because he always seems so ‘distant’ in the novel, we can’t help but be intrigued by him. I thought his ‘distance’ as a protagonist fit very well with this story. He is alienated by his condition and always feels very alone, and I liked that these same feelings carried over and were projected onto the reader. It was the perfect portrayal, I never quite felt like I could give up on him as a character, I kept wanting to read more and see how things worked out for him. That alone was the driving force of this novel for me. There was always a layer of impersonal-ism for me….the dialogue and Alexander’s character always seemed very impersonal but it worked in this particular novel….I don’t know that it would have worked in others but for me, it was fitting in this situation. The ending also left something to be desired for me. I will leave it at that so I don’t spoil it for those who want to read the book…..it was wanting in a lot of places…..in essence, it just didn’t fit for me. This novel appeals to a specific type of reader. It’s not an action packed or fast paced novel by any means. It’s full of wordy descriptive passages and lots and lots of history. If you have time to enjoy this epic novel, then it’s a worthwhile read. It’s complex and intelligent but I would say you have to be in the right mood to read it….I don’t know that it would appeal to a wide audience.